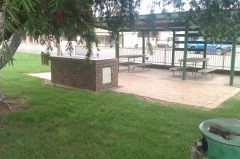 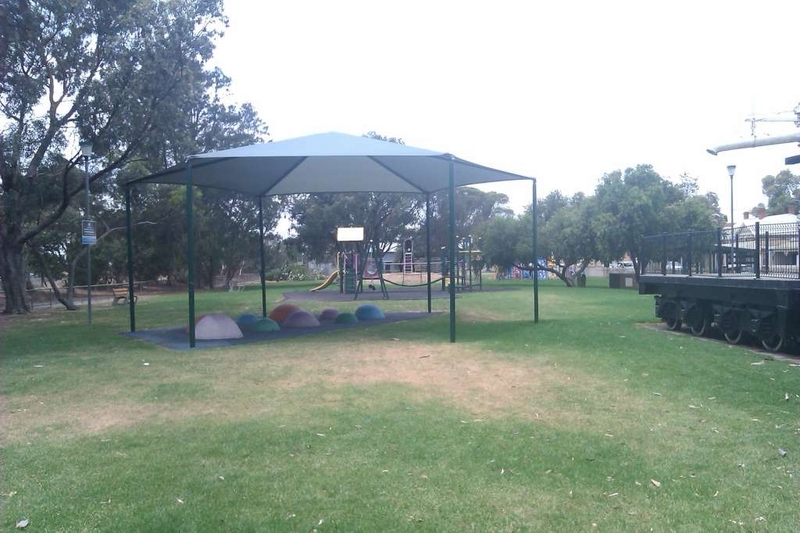 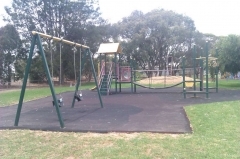 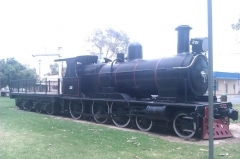 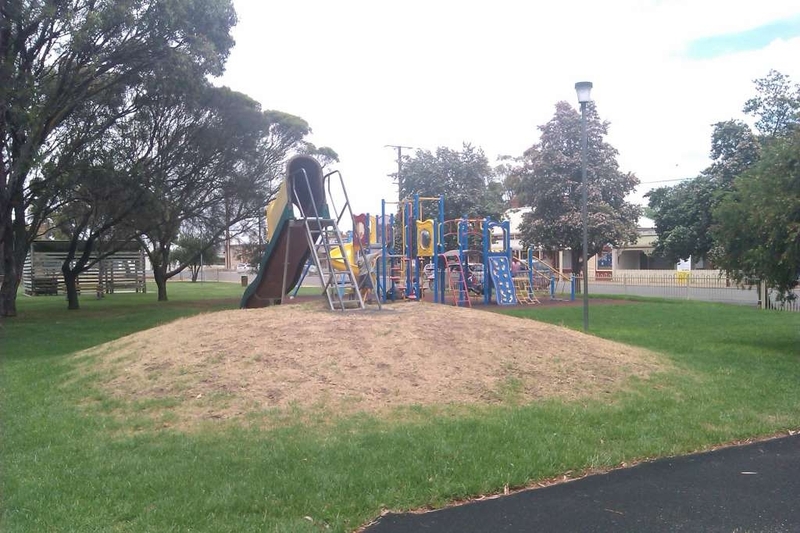 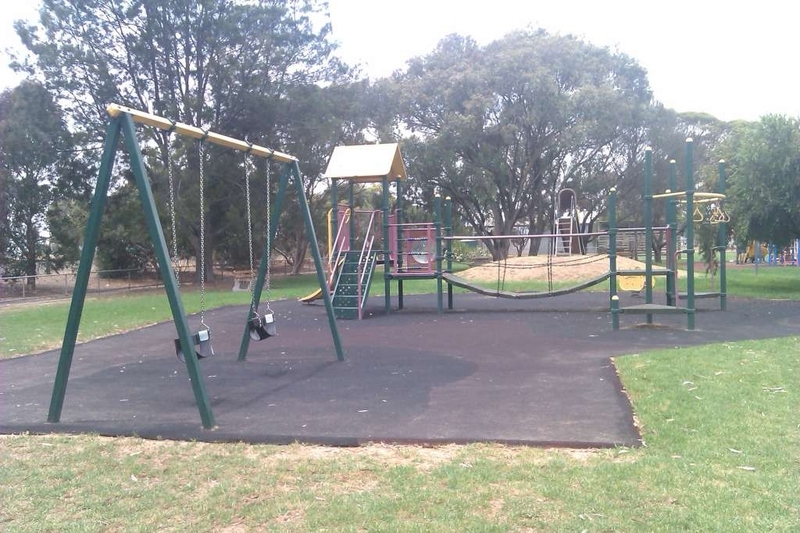 This playground is an ideal place to stop for a break if you are heading for the South East of SA or over to Victoria. 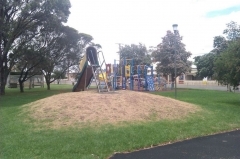 Let the kids out to burn off energy playing on the train or play "island hopping" on the rubber mounds. 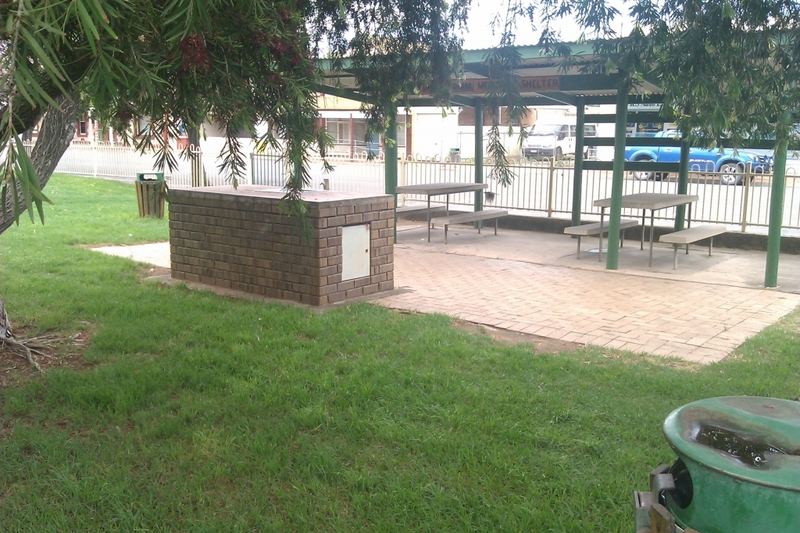 Toilets aren't located in the play area, but are only a short walk away.